It’s a lot of fun to wear matching shirts on vacation and these Disney family shirts in Star Wars inspired designs are perfect. Find what you are looking for, you will. Hmmmm. When you go on vacation together it’s fun to wear matching family Disney shirts so you stand out from the crowd. On a busy day it’s so much easier to spot a family member if they’re wearing the same shirt you are! 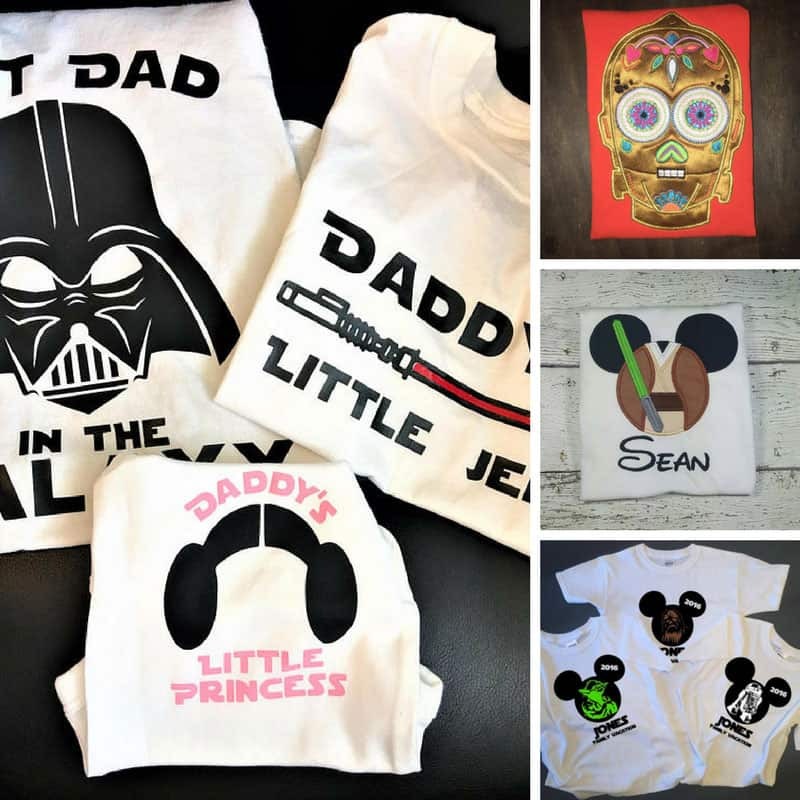 Today I’ve rounded up some fabulous Disney family shirts Star Wars fans will love. 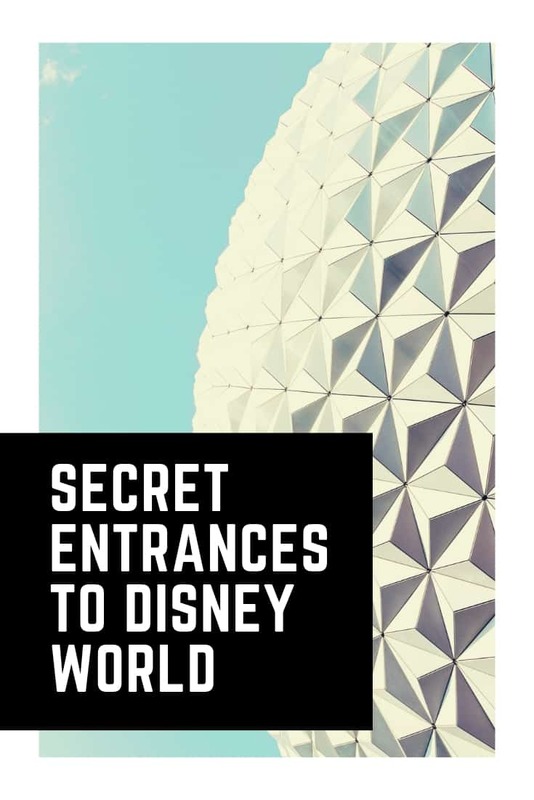 Everything from Darth Vader and his kids, to an Ewok wearing Mickey Ears! 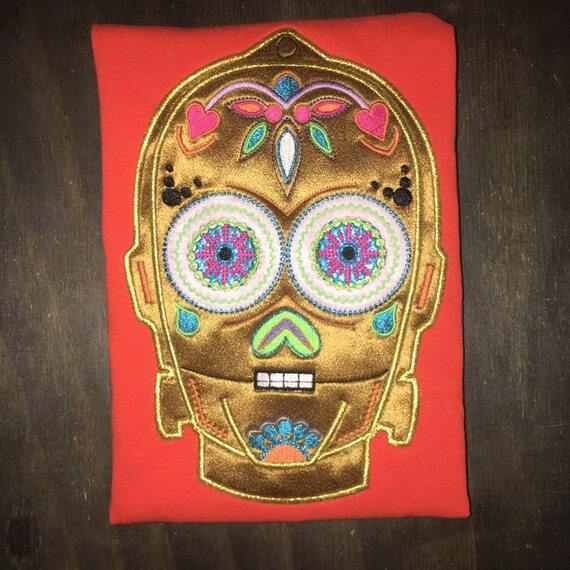 My personal favourite has to be the embroidered C3P0 shirt! 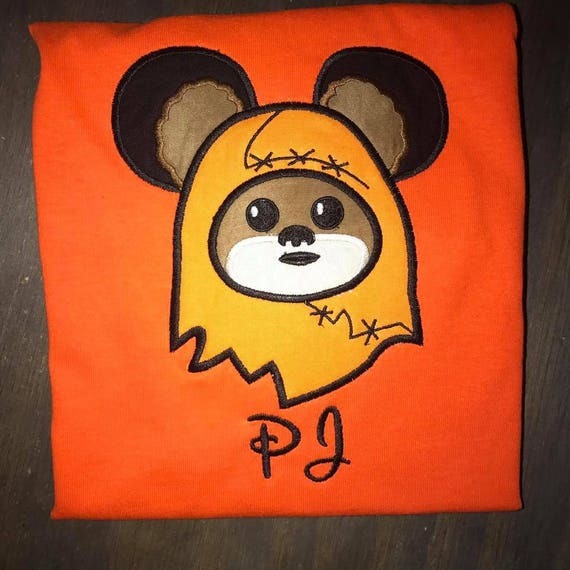 All of these Star Wars T Shirts are custom made and available to order from Etsy (because I love to support other small businesses!). You can personalise many of them with the names of your family or the date of your trip to make them all that more special. 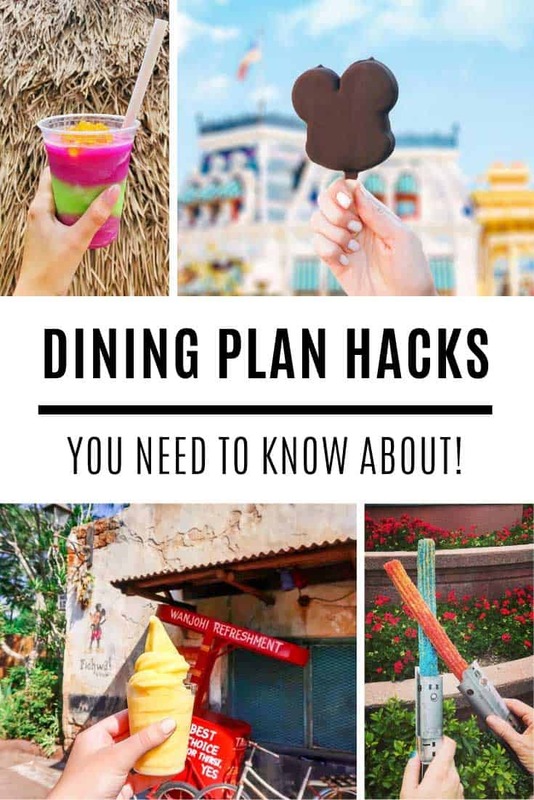 Be sure to scroll all the way to the end of the list to see all the brilliant designs, and find what you are looking for, you will. Hmmmm. 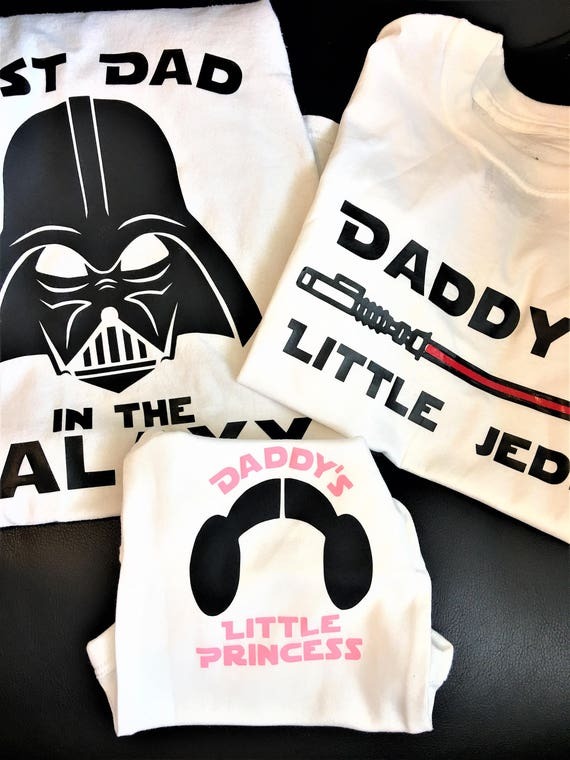 I love this Best Dad in the Galaxy design with Darth Vader on the front, it’s the perfect family shirt set if you have a boy and a girl as there is a matching Daddy’s Little Jedi and Daddy’s Little Princess shirt to go with it. The children’s designs come in baby onesie, and toddler and children’s shirt sizes. 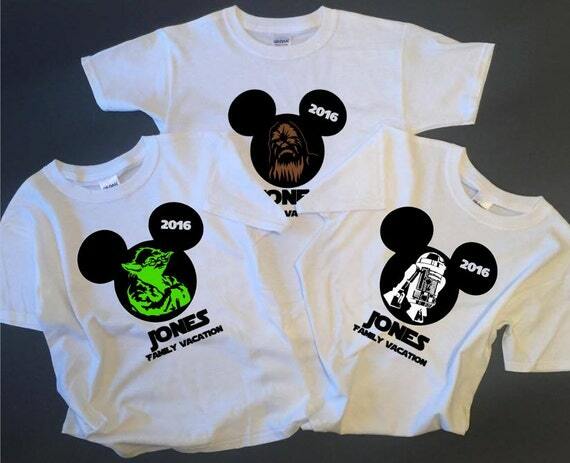 If you want everyone to wear matching family shirts try this Star Wars design that is based on the Mickey ears hat. Not only are these shirts personalized they are also embroidered so they really are special. 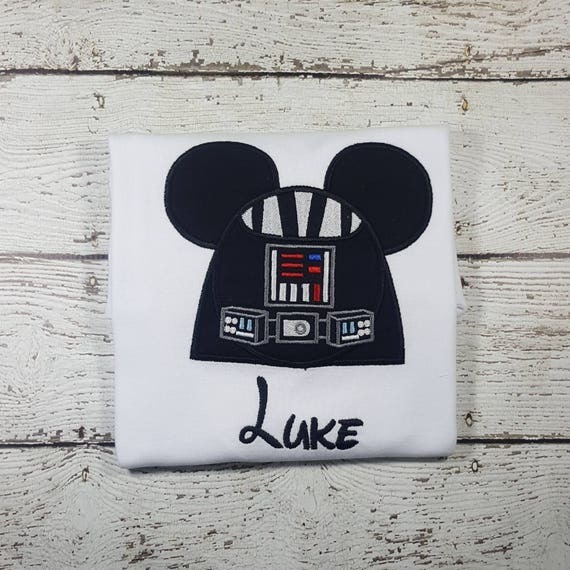 If your family are Jedi fans then this embroidered Mickey ears shirt is the perfect choice for your family vacation! The details are brilliant, right down to that light saber! If your whole family wore matching shirts like this you’d be sure to get noticed at Disney World! Oh my goodness, if you or your daughter loves C3P0 then this is the perfect shirt for your Disney trip! I love the embroidered hearts and teeny Mickey ears! It will certainly stand out in the crowd that’s for sure! 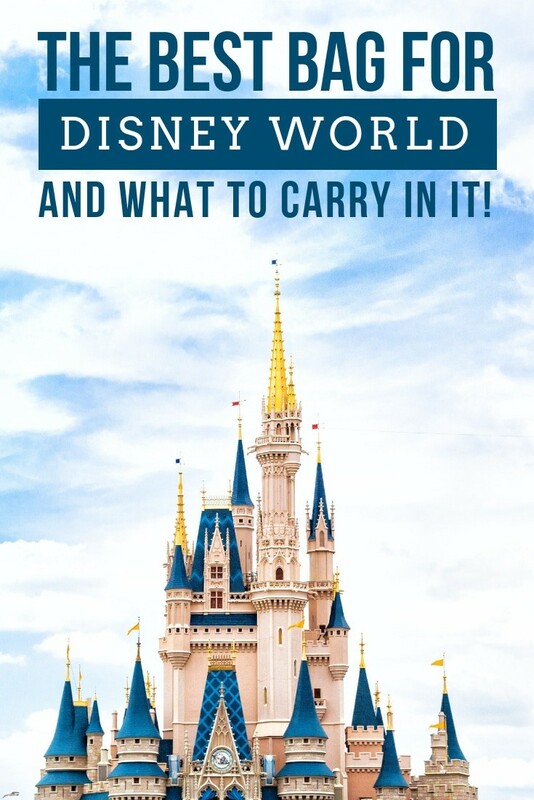 Travelling to Disney World for Star Wars day? 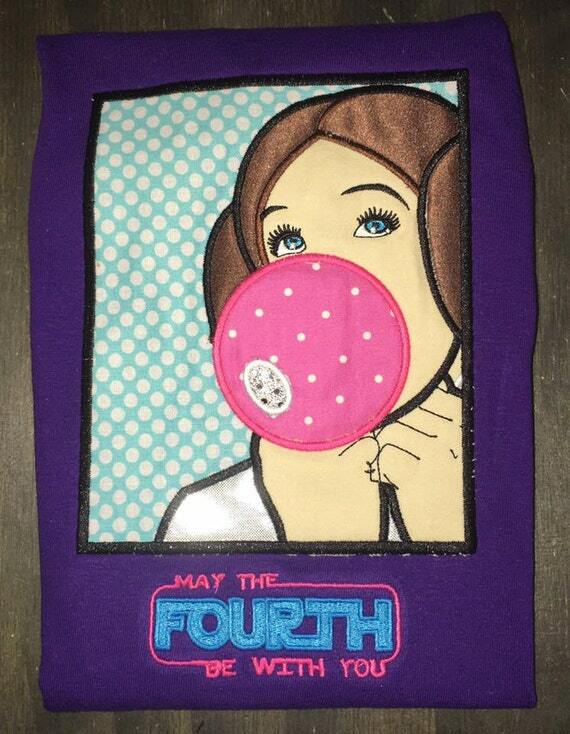 Seriously if you are going to be there on May 4 you just have to be wearing this May the Fourth be With You shirt! 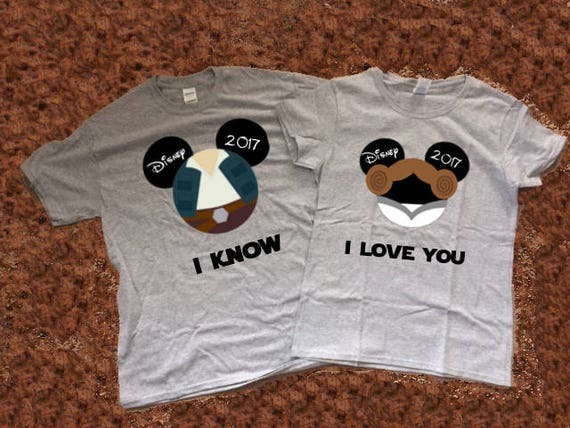 Aww, if you’re looking for a couple’s Star Wars shirt you can’t really beat this Hans Solo Princess Leia combo! 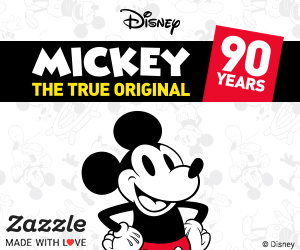 I love how I Love You, I Know is split across the two shirts, and that you can personalize the ears with the date of your trip. 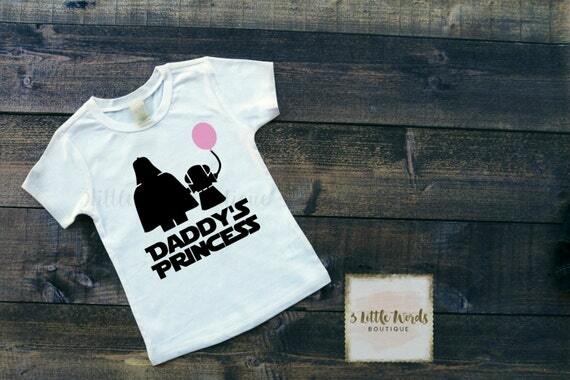 Here’s a cute shirt for your little girl to wear on the vacation, because of cause Leia is her Daddy’s Princess! I love that bubblegum pink balloon! 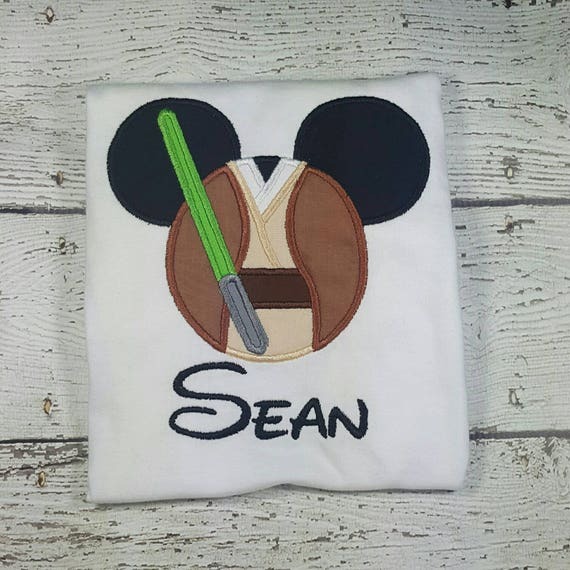 This one is a great set of custom shirts to choose from if you want to have matching family shirts but everyone loves a different Star Wars character! We can’t forget about the Ewoks and I love this Disney vacation shirt with the little guy wearing his Mickey ears! More matching Disney shirts for the whole family!